Hey there! Thanks for dropping by TechnoTouch! Take a look around and grab the RSS feed to stay updated. See you around! This new technology contributes to an improvement in fuel economy by reducing body weight by 25% compared to a conventional steel sub frame. In addition, electricity consumption during the welding process is reduced by approximately 50%. It also enabled a change in the structure of the sub frame and the mounting point of suspension, which increased the rigidity of the mounting point by 20% and also contributed to the vehicle’s dynamic performance. 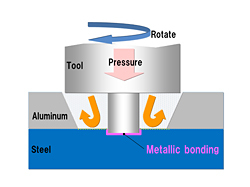 Honda Motor Co., Ltd. today announced that it has newly developed a technology for the continuous welding of the dissimilar metals of steel and aluminum and applied it for the first time in the world to the sub frame of a mass-production vehicle, a key component of a vehicle body frame. We often come across sites in which we have to forcefully do a survey because we have to download a file or see some content (Smile Pirates). 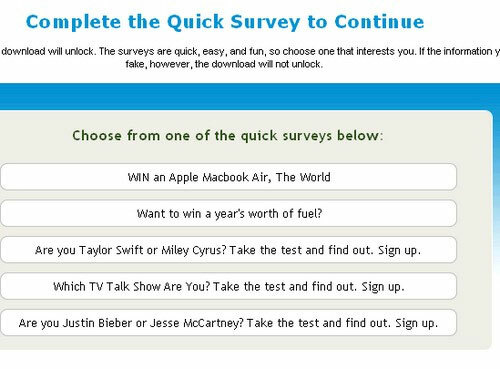 In all of these surveys we are forced to disclose our personal information like our phone number, email id etc. 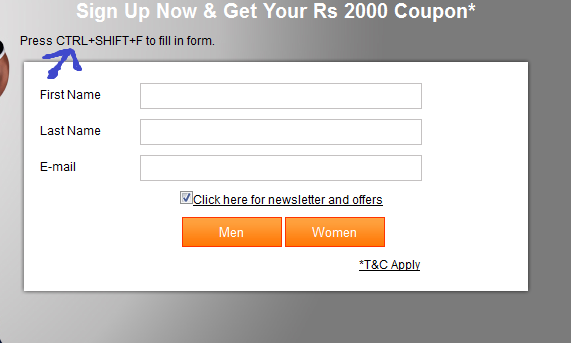 Later these sites irritate you with their sms’s spam mails of offers in which you not at all are interested ! So we’ve found a way by which you can get through these sites without leaking out your personal information ! 1. Download this add on called ”greasemonkey” for Mozilla Firefox (Mozilla is needed and although many love chrome; its so sad we Indians go for looks rather than reliability,security,performance ). 3. Now go to the site which tells you to do the survey and asks for your information etc..
Do as directed..press CTRL+SHIFT+F and you will see that the form gets filled on its own and all the information filled out there is completely random ! This is all random stuff filled by the script. 5. Some sites may tell you to verify your identity by logging into your mail and opening some url or to get some pin ! For this all you have to so is go to http://www.yopmail.com/en/ . Go to this site and you’ll get a temporary email id for around 15-30min. 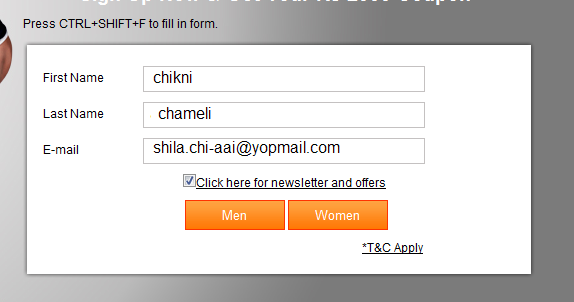 ->paste that temporary email id at the place of email id which your intelligent form filler has randomly filled. 6. Check http://www.yopmail.com/en/ Inbox for the mail from the site. ->Get the pin or confirmation link>you are done ! Here as you can see two mails from the site where we have to forcefully register and the confirmation link plus password (other mails are just spam,ignore them). In that case go to this site http://www.k7.net/ ..on this site you can receive voice calls via mail ! So you bypass Survey again without giving any details ! Register here and you’ll be able to receive voice calls via mail. 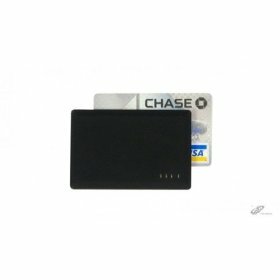 Accutronics has launched two new lithium-ion batteries in its Intel lion series of credit card sized batteries. These new smart batteries are ideal for high-tech portable applications including tele-healthcare devices, test and measurement equipment and wearable computers. The CC2300 and CC3800 batteries allow integration of smart lithium ion battery into handheld portable products with minimal effort and cost. The products feature 3.7V Lithium Ion cell technology coupled with impedance tracking fuel gauge, an active protection system, and a compact connector. The batteries feature an active electronic protection system that prevents them from being overcharged, over discharged or short circuited. In addition, they have impedance tracking fuel gauge that constantly tracks battery status, providing information such as remaining battery capacity, state of charge, run time to empty, battery voltage and temperature. Super capacitors (also known as electric double-layer capacitors – EDLC), are electrochemical capacitors with energy densities hundreds of times larger than conventional capacitors, making them suitable for energy storage applications. 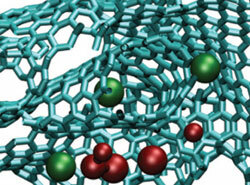 Researchers have used computer simulations for how super capacitors are able to store electric charge. Researchers from France, the UK and the US have used realistic molecular-scale computer simulations to examine how ions are arranged in carbide-derived carbon electrodes, which has cast light on the origin of super capacitance at the atomic scale. In order to examine the behavior of ionic liquids at the interface with carbon electrodes, the team designed a realistic simulation cell consisting of an ionic liquid electrolyte surrounded by two porous electrodes which could be held at a constant potential. When two different voltages were applied between the electrodes, the team could compare how ions are organized in the electrified pores of electrodes and how they behave at a planar graphite surface. Mojtaba Mirzaeian who investigates super capacitors at Queen’s University Belfast, UK, says the simulations offer new and useful information on the mechanism of ion separation and charge storage inside micro porous electrodes. This could be beneficial in the preparation of micro porous carbons with desired porous structures to enhance the capacity and performance of EDLCs,’ he says. Your boss calls on your mobile phone and your tattoo starts to vibrate. Yes, it is spooky but could be a reality soon with the recent patent that Finnish handset maker, Nokia has filed. The technology will work on the concept of haptics. It basically deals with the sense of touch that is ignited by applying vibrations or forces to your skin. According to Nokia’s plan, they want to work on tattoos that will be made using ferromagnetic ink that will receive commands from your mobile phone. It will either tell you about the caller through vibration or can also be attuned to inform if it is a call, text or video message. These tattoos can either be worn on the skin or inked. Nokia proposes that the material worn on the body or painted on the skin can detect a magnetic field and emit a vibration with options for different kind of haptic feedbacks, among which the user may choose to personalize the device. If you’ve ever touched a cellular phone, there’s a good chance you’ve been exposed to haptics. Before you start reaching for the hand sanitizer and calling your doctor , know that the only infectious thing about haptics is its amazing ability to take gameplay, touch screen devices, and portable electronic user experiences to an entirely different level. Haptic technology, or haptics, is a tactile feedback technology which takes advantage of the sense of touch by applying forces, vibrations, or motions to the user. Haptic technology has made it possible to investigate how the human sense of touch works by allowing the creation of carefully controlled haptic virtual objects..
now waiting for this…when it will launch in market??? This 1.6 liter i-DTEC turbo diesel engine will pump out 120 BHP of peak power at 4000 rpm along with 300 Nm of peak torque at 2000 rpm . 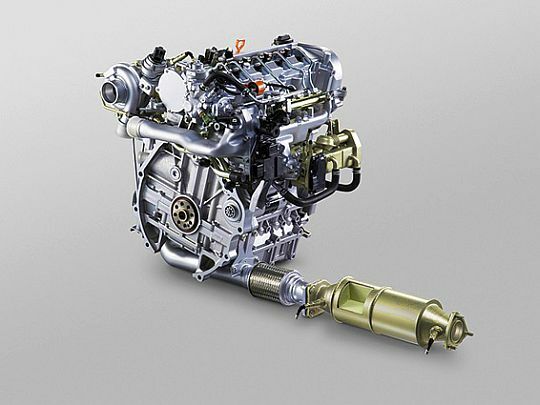 The new 1.6-liter i-DTEC engine is the first drive t from Honda’s new Earth Dreams Technology engine series which introduced in Europe. A smaller 1.2 which is possibly the scaled down variant of the same could power the Brio and Jazz.